The Westwater Canyon Multi-Sport 4 Day Adventure is one of the best ways to explore what Moab, Utah has to offer. 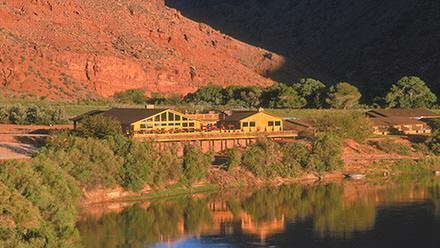 From the thrills of a Hummer Safari, to the chills of rafting a wild Colorado River through Westwater Canyon, to relaxing and dining at the fabulous Red Cliffs Lodge, you're sure to find what you want from a place like Moab! 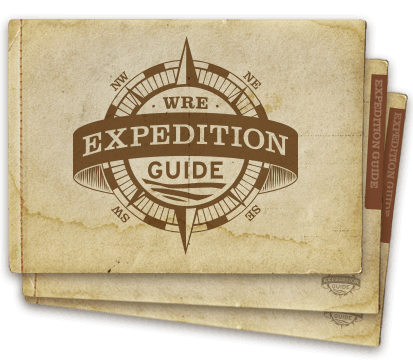 This itinerary is a suggestion of how your adventure vacation is most likely to unfold; read carefully to be sure and plan your free time most effectively. Please note that all three breakfasts and one dinner meal at Red Cliffs Lodge is included in this itinerary package. You are free to choose when to use this dinner meal ticket, but leave time to savor your meal in the glow of a spectacular sunset from the deck of Red Cliffs Lodge, overlooking the Colorado River. 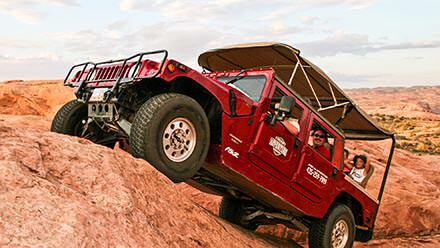 As you plan your time, also be aware that the Red Cliffs Lodge is located some 20 minutes from downtown Moab, where you will meet for the Hummer Safari. Be sure to leave enough time, and to plan for lunch or meals on your own while in town. After breakfast at Red Cliffs, meet at Western River's Moab Adventure Center at 9:45 AM for an exhilarating off-road Hummer Safari. You'll access Moab's spectacular back country in style and comfort aboard the world's most serious 4x4. Climb to the top of seldom-seen, awe-inspiring overlooks and return with a new feeling of freedom and unforgettable memories. It's recommended to grab some lunch in Moab before taking the afternoon on your own to explore the National Parks or go horseback riding (rides are offered at Red Cliffs Lodge - advance booking recommended). After an early morning breakfast buffet, a shuttle will arrive at Red Cliffs (approximately 8:15 AM) to take you to Westwater Canyon. 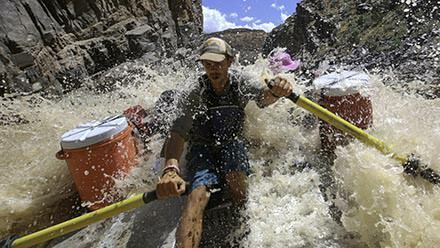 Labeled "The West's Best Short Whitewater Trip" by National Geographic, this one-day Utah rafting adventure gives you everything from relaxation on calm waters winding through amazing geologic formations to the excitement of Colorado River whitewater. Click to learn about the type of rafts used in Westwater Canyon. After your return to Red Cliffs Lodge around 6:00 PM, you'll have time to enjoy a dinner in town on your own or spend another evening dining at Red Cliffs. Add it before or after your Multi-Sport trip, but be sure to make the most of your stay in Moab by extending your Adventure with us. Western's Moab Adventure Center is your one stop for any adventures you'd like to add to your itinerary. 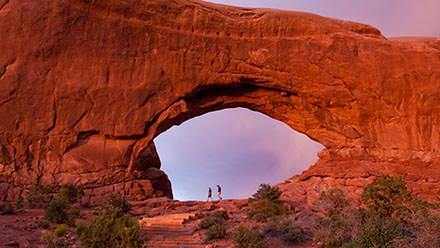 Consider a sunset tour of Arches National Park or a thrilling zip line or canyoneering adventure. 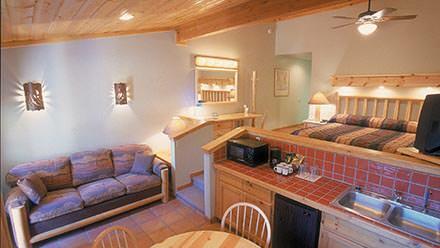 Let us know what you'd like to do and we'll help you add it to your itinerary.